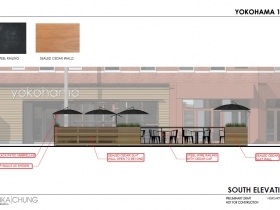 A new bar and restaurant serving Ramen, currently under construction, is adding a parklet to its East Side location. A parklet is an extension of the sidewalk or pedestrian way created from a street’s parking lane. As cities like Milwaukee become more dense and pedestrian oriented, they are creating more parklets. 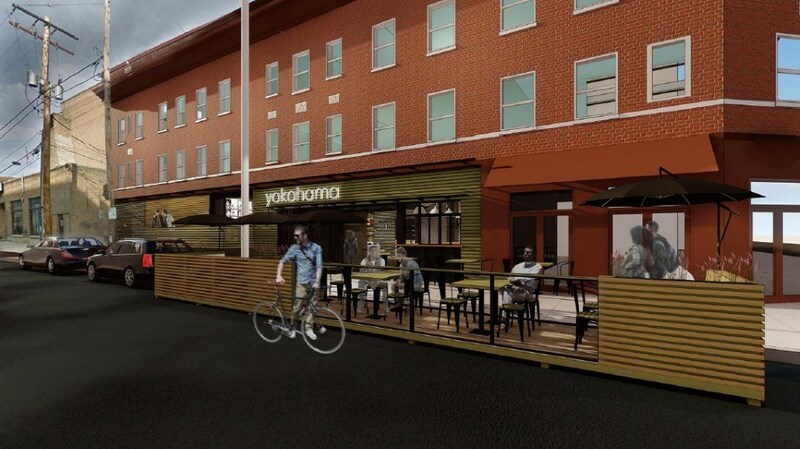 The East Side Architecture Review Board (ARB) approved a certificate of appropriateness Wednesday for the patio-like parklet outside of the future Yokohama 1910, the Ramen restaurant that will be located at 1932 E. Kenilworth Pl., near Prospect Avenue. 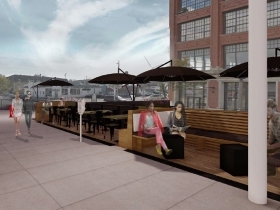 This new structure, designed by Rinka Chung Architecture, will join a growing number of parklets in Milwaukee. The parklet outside of Pub Club on 1103 N. Old World 3rd St. was designed by the same firm. This parklet will sit on the north side of Kenilworth taking up two public parking spaces outside of the future restaurant. As Urban Milwaukee has reported, owners Aaron Gersonde and Andrei Primakow hoped to have the place running by last September, but the project has taken longer than expected. The aesthetic and placement of the parklet were designed to marry the indoor and outdoor experience. 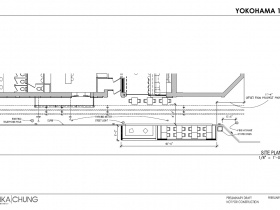 The developers are putting a garage door on the restaurant and are planning to have a lounge area that aligns with the parklet, says Buck Knitt, the designer from Rinka Chung Architecture, connecting it to the interior space. 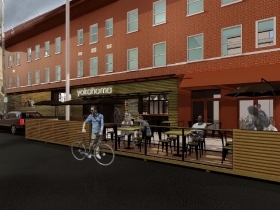 The cedar paneling on Yokohama’s facade is the same material being used to construct the parklet, giving the outside seating an appearance reflecting the rest of the restaurant. Right now the design does not feature any exterior lighting, aside from public streetlights, so members of the ARB suggested they put up some lights as the outdoor portion will be used at night. The ARB wasn’t the last hurdle for the parklet. 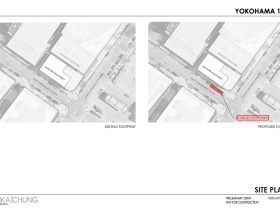 It will also have to apply for an extension of premise, noted board chair and Alderman Nik Kovac, as servers will have to cross the public sidewalk from the restaurant to the parklet when waiting on patrons. 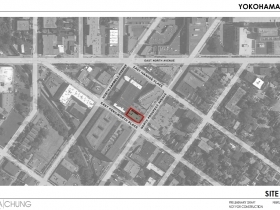 First we lost Yield, now we’re losing public street parking. Eat Ramen On a Pallet? No!